Underwater Treadmill is a valuable tool to help post-operative animals regain muscle strength and normal joint function. Dogs suffering from degenerative joint disease (arthritis) will similarly benefit from increased strength and flexibility. The patient receives all of the benefits of warm water swimming plus the added benefit of controlled weight bearing. The underwater treadmill tank provides low impact exercise in a reduced gravity environment. 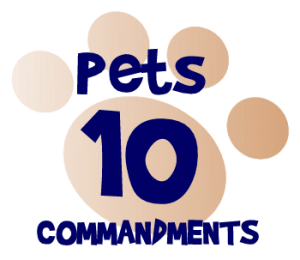 By adjusting the height of the water, up to 40% of the weight on the dog’s limbs can be reduced, eliminating concussive stress on joints. The water also provides resistance with every stride, which can be increased by the use of built-in water jets. 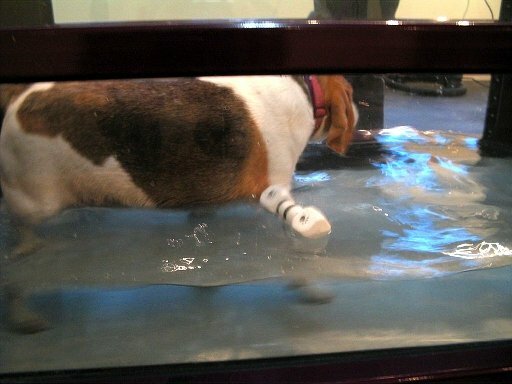 The underwater treadmill is most beneficial for dogs who require decreased weight- bearing exercises.The canine underwater treadmill features adjustable speeds. Dogs are introduced slowly to the treadmill to make them more comfortable. As exercise sessions progress and the dog’s strength and fitness increases, more resistance is provided with the built in hydro jets.